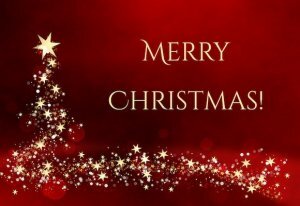 During the Christmas and New Year holidays the council office will be closed from 4:00pm on Friday 22nd December 2017 and will re-open at 8:45am on Tuesday 2nd January 2018. For help in an emergency over this period you can call 07702 280949 during the normal office hours of 8:45am - 5:15pm. 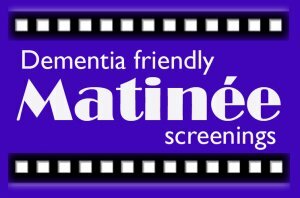 Matinée Derbyshire have recently confirmed a number of bookings at the Civic Hall in Dronfield for Dementia Friendly Film Screenings in 2018. Matinée provides film screenings for people living in the community who have memory challenges plus their friends, family and carers. The aim is to create a sociable and friendly atmosphere and hope that visitors will enjoy the films provided. 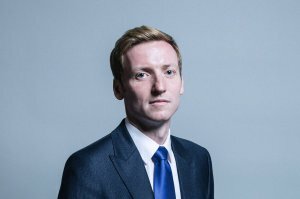 Local MP Lee Rowley holds regular surgeries all around his constituency to allow residents to raise any issues or concerns with him. 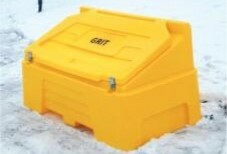 The Outside Services Team at Dronfield Town Council have been busy refilling grit bins over the last two days and have so far used more than six tonnes of grit to refill the boxes around Dronfield. The team work strategically along two routes to cover all 134 grit throughout the town. The Environment Agency will shortly be starting a winter programme of works which was highlighted during previous inspections of the River Drone throughout the Dronfield and Unstone catchment. 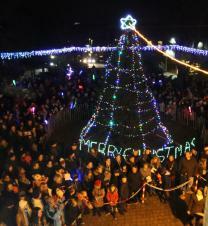 Hundreds of Dronfield residents turned out on Friday 1 December to witness the Town Mayor, Cllr Philip Wright, switch-on the Dronfield Christmas Lights in the Library Gardens. Singers from Dronfield Junior School joined the crowds and performed two beautiful Christmas Songs and the Sheffield Concert Band played while carols were sung by everyone in attendance. Christmas Celebrations begin this weekend! 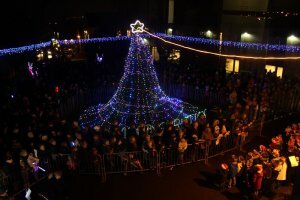 Christmas celebrations begin in Dronfield this weekend with the annual Christmas Lights Switch-on on Friday 1 December 2017 at 7pm in the Library Gardens. Children from Dronfield Junior School will be singing some festive songs and everyone is invited to join in with the carol singing. 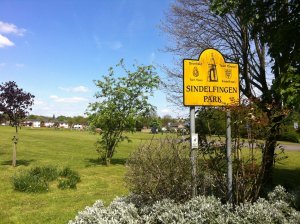 Sindelfingen Park has recently received an upgrade as all the existing paths have been resurfaced. Pipework has also been put in place for forthcoming drainage work to reduce the flooding within the Park, which will help to protect the new paths in the long term. Dronfield Town Council are delighted to announce exciting plans for Cliffe Park. 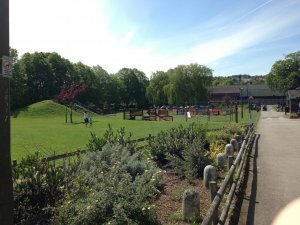 From January 2018 the play area within the Park will be closed for three months to allow contractors, Creative Play, to begin work on the new play area. 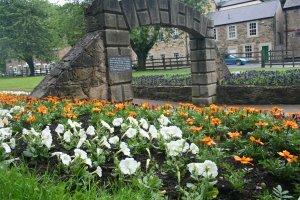 Ideas from local parents and children have been incorporated and new play equipment will be installed along with the enhancement of existing features with the Park.